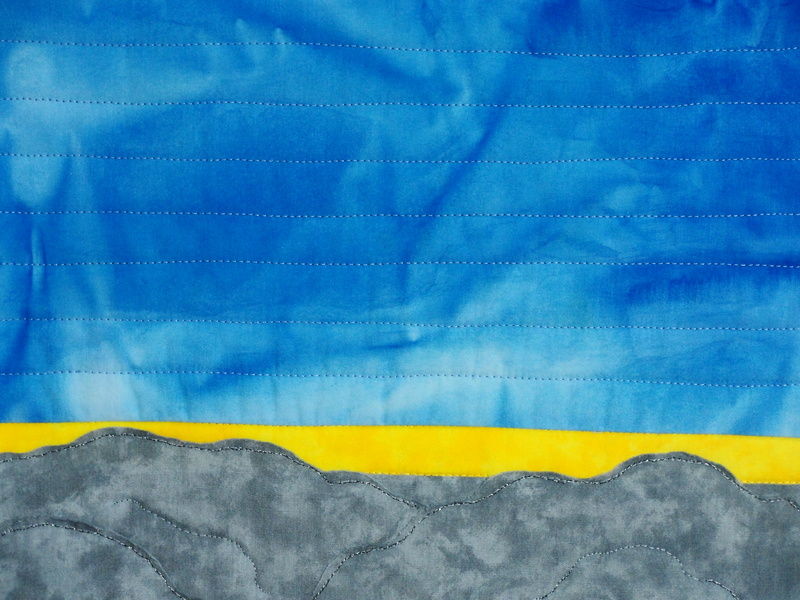 My piece, Above Dark Clouds is finished and on its way as a donation to the SAQA Benefit Auction (Studio Art Quilts Association). "Above Dark Clouds", Frayed-edge appliqué, pieced, quilted with rayon on hand-painted & commercial cotton, 11 1/2 x 11 1/2". (c)2011 Joni Beach. It is satisfying to make a deadline, especially since I missed it last year! 🙂 Also, I will get to send in my new website and blog address with it, which was one of my goals for the year–to create a website and blog before the SAQA Benefit Auction. center during a family health crisis, I would get above the rain clouds and realize how bright and beautiful the sun and cobalt blue sky was continually. It was an encouragement to me and became a symbol of hope and peace. 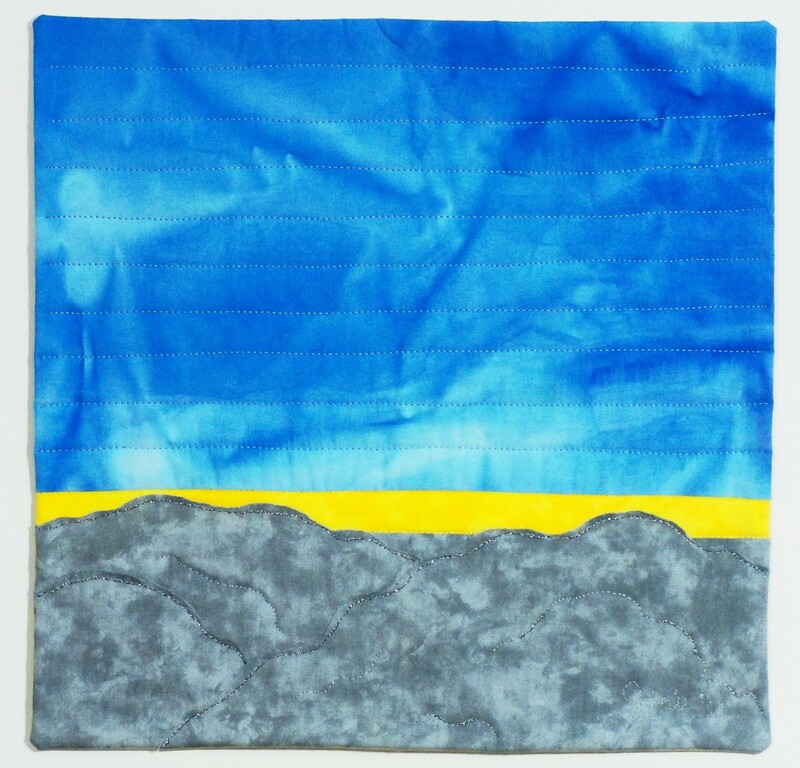 In experimenting with the design of this piece, I decided the horizontal lines for the sky, while somewhat simple, best portrayed the idea of calm and peace. 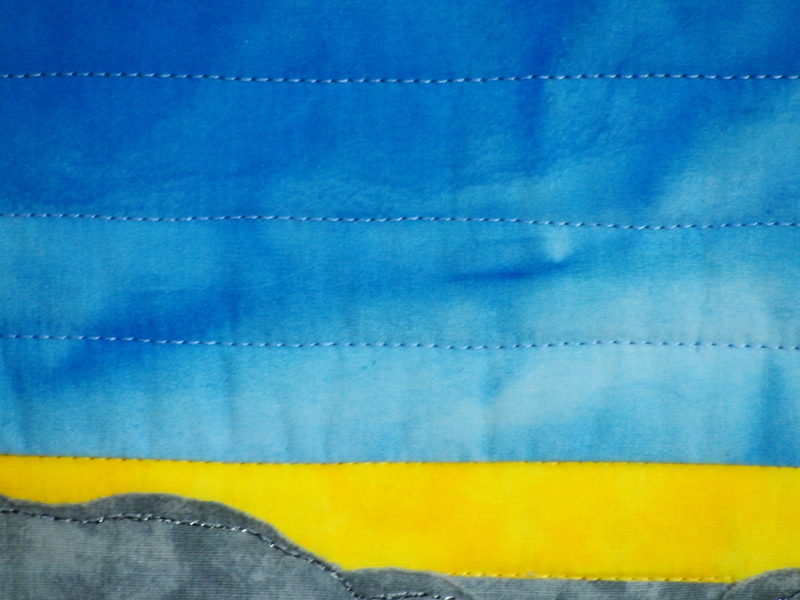 The variation of the blue fabric I hand-painted to the desired color adds extra visual interest. 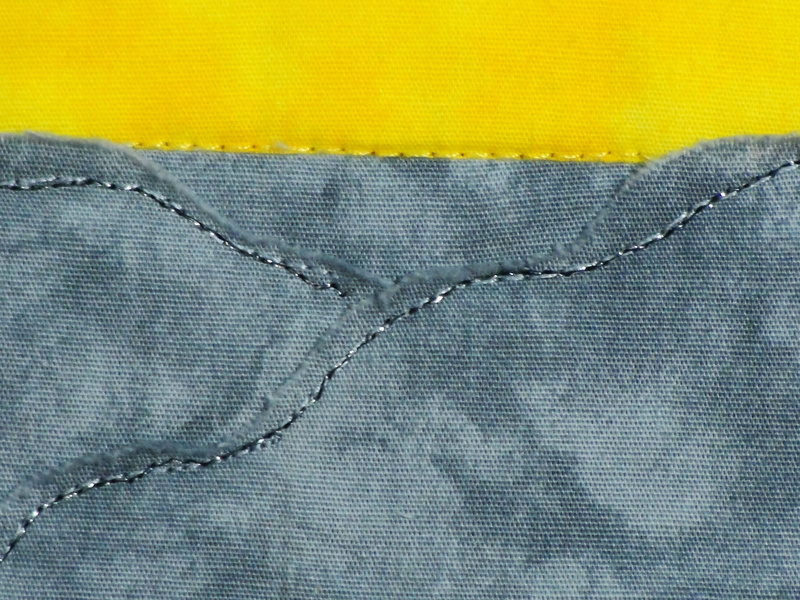 For the clouds, I decided I liked the frayed edges for the softness and dimension it gave in contrast to the cleaner lines of the pieced sections of the sun and sky. In the future I plan to create a series exploring these ideas and theme, beginning with a similar large piece based on this design. The SAQA Benefit Auction is an annual fundraising event and features a wonderful collection of members’ artwork, which can be obtained at very good prices! 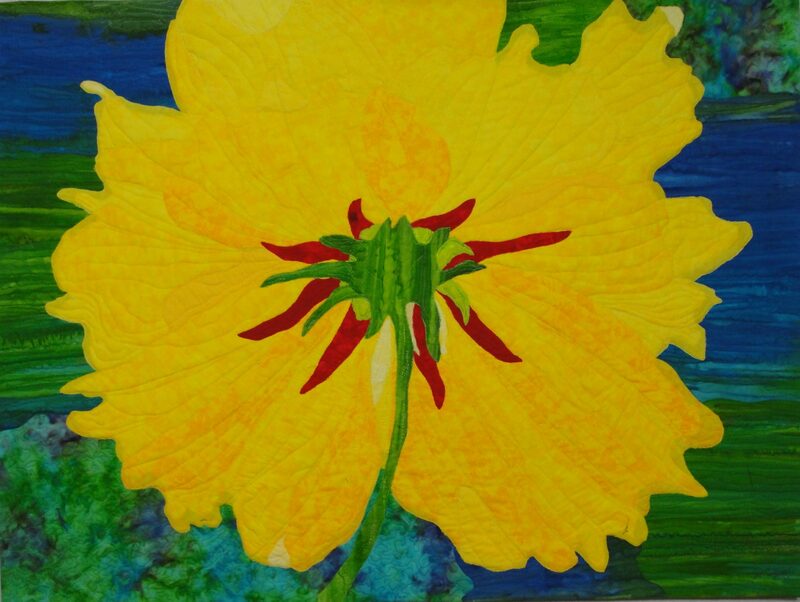 Check it out the donated artwork now at http://www.saqa.com/saqa-u.php?ID=1791. The first day of the on-line bidding is September 12th, 2011, beginning at 2:00PM Eastern Standard time. Thanks so much for your visit! Your work is lovely ~ so simple and yet complex I am sure in its evolution. Happy summer to you!